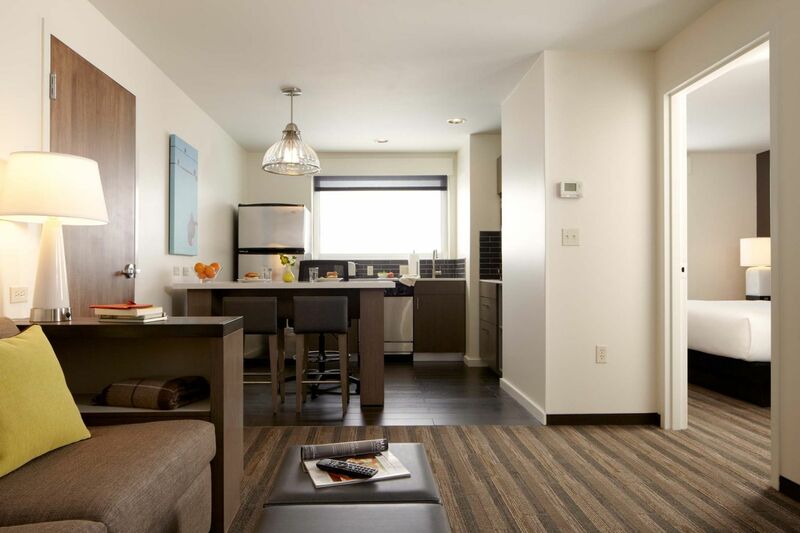 The Hyatt house Colorado Springs has a variety of on-site dining options for you to enjoy. Wake up to your breakfast of choice at the Omelet Bar, serving up chef-inspired options, Greek yogurt parfaits, steel-cut oatmeal, fresh fruit, and more. Satisfy your cravings at H BAR, offering a loaded food menu, craft cocktails, and more. 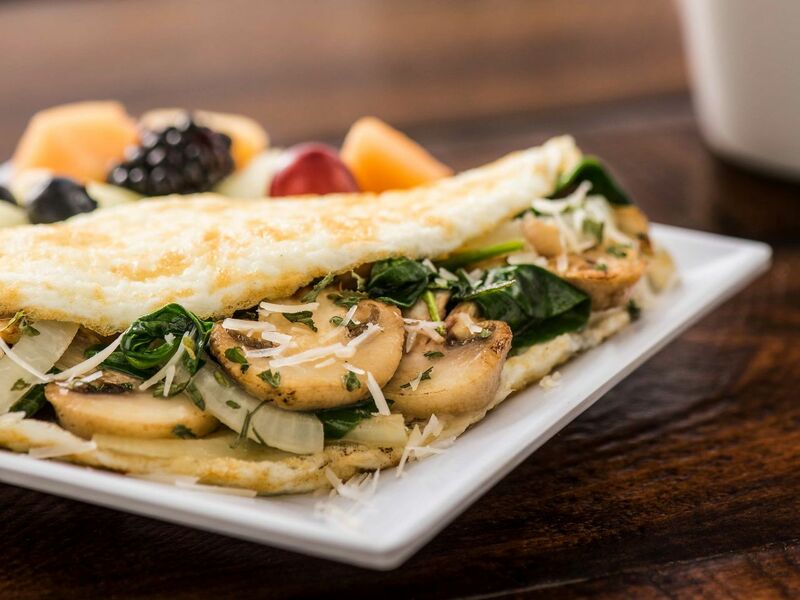 You’ve got two choices for free breakfast at Hyatt House: chef-inspired options that rotate daily, or your own custom creation from the Omelet Bar. Whatever you pick, you’ll savor a plate full of ingredients like cage-free eggs, all-natural bacon and sausage, and fresh fruit. Unwind with craft cocktails and bar bites at H BAR, a social space within Hyatt House. Head downstairs to hang out with friends and share a plate of zesty Korean street tacos made from premium ingredients. It’s just one of the many tempting apps you’ll find on our Sip + Snack Menu. 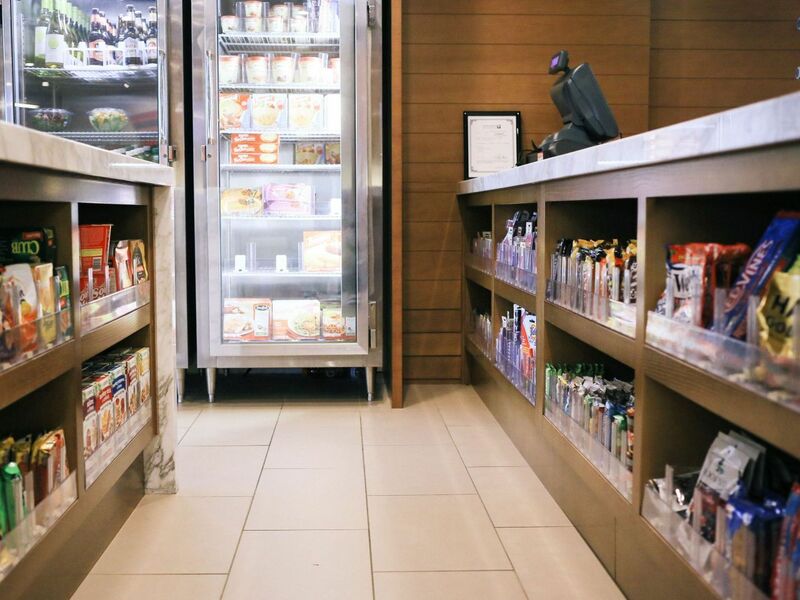 Snacks and sundries line the shelves inside the 24-hour H Market at Hyatt House. Grab groceries to bring back to your room’s kitchen, or stop by to pick up a sandwich and a cold drink before you head downtown.